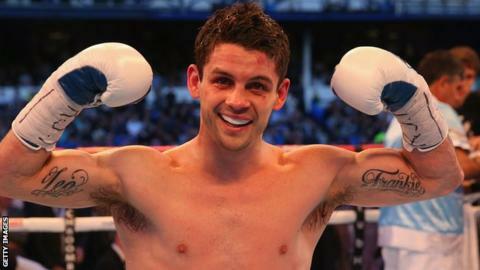 British boxer Stephen Smith has had his ear stitched after defeat by Mexican Francisco Vargas in Las Vegas. The 32-year-old from Liverpool lost the super-featherweight bout on a technical decision at the Mandalay Bay Hotel. The fight was stopped in the ninth round and Vargas won on the scorecards as Smith was beaten for the fourth time as a professional. "Stephen will be stitched tonight and will be able to return home as planned on Monday," said promoters Matchroom. Former British champion Anthony Crolla posted on social media: "One of nicest guys you could ever meet but up there with the toughest. Wanted to carry one with his ear literally hanging off. Very proud."